I’m nowhere near putting my first foot on the property ladder. In fact, the first rung seems so far off that I feel like a modern Jack – stood at the bottom of an estate agent-branded beanstalk that stretches far up into the clouds. Like many other people my age, I’m a renter. And, sadly, the use of fairytale metaphors is wildly inappropriate when it comes to my life as a tenant. 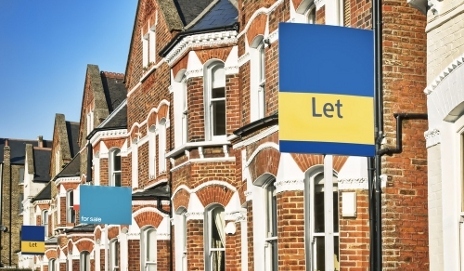 According to a new report by property website Zoopla, it’s currently cheaper to buy a two-bedroom flat than to rent one in 80% of the UK’s towns and cities. The research shows that rent on a two-bed place is typically almost 10% more expensive than a mortgage. Zoopla’s research has come in for criticism. Firstly, you need to be able to scrape together a deposit before you can buy your own home – then there’ll be mortgage fees, solicitors’ charges and possibly stamp duty to contend with. Plus, Zoopla’s calculations are based on the assumption that buyers have interest-only mortgages at interest rates of 5%. This won’t be the case for many people – and as soon as the base rate rises, we will see the cost of property ownership increase. Yet it’s depressing to think that renters like me, who are trying to build up the savings they need for a deposit, are in some cases shelling out more per month than those already on the property ladder. And with mortgage finance still constricted thanks to the credit crunch, there is next to no chance of me getting a home loan until I have tens of thousands of pounds to put down up-front. And what about the practical disadvantages of being a renter? You could argue that people like me pay a premium for having someone else take responsibility for the maintenance of their home – but in my experience this doesn’t ring true. In the past two years I’ve spent time living with a broken fridge, a busted washing machine, doors falling off their hinges and a toilet that doesn’t flush. I’ve paid my rent in full and on time every month, yet have been made to feel like a glorified squatter each time I’ve asked for a broken item to be repaired. Earlier this week, my landlady confirmed that she wants my fiancé and me to move out of our home as she’s decided to sell it. Our tenancy agreement is legally binding until mid-2011, so we’ve managed to negotiate a cash settlement for its early termination – but to say this has been stressful and difficult would be an understatement. It’s this lack of service and insecurity of tenure that puts fire in the belly of renters like me – spurring them on to save and become buyers at the earliest possible opportunity. So yes, we Brits are obsessed with property. But until the private rental market offers people better protection and value, people like me will continue to dream of escaping it – however far away that fairytale ending might seem. My daughter is about to move into her first ‘owned’ house after a period of renting. While the last landlord had used a good agent, some of the others were, to say the least less good. There was the one who rented out a house on which someone was claiming to be the landlord…however, the mortgage had not been paid for two years. It was only discovered by chance and required some very fleet of foot action to ensure that she was not thrown out into the street with out her possessions. Currently the rental that she has been paying appears to be almost twice what she will start paying on the mortgage. Yes she is going to require a substantial assistance ‘raft’ to fund the deposit, but in future a large part of what is paid out each month will be for something that she will own. OK the property was a repossession, in fact almost half of the viewings were either repossessions or fully priced items being sold by the owners. It is hard to see how so many landlords appear to be running into trouble, with historically low interest rates, and seemingly historically high rental rates, how come there is a shortfall on mortgage payments? OK in the case above it appears that the original owner ‘might’ have been an Iraqi who returned home never to be seen again and that the ‘landlord’ was an opportunist who was very ready to take the money and run. His idea of maintenance was ‘strange’ to say the least. Bodge this bodge that and a very cavalier attitude to such matters as certificated tradespeople or electrical safety, he did it all himself, and it showed! Perhaps it is not so odd that people end up feeling that they want to try to be in some level of control of their home? When you can buy a house for of the order of £ 160,000 and get a rental income of close to £ 1,000 per month, it is easy to see what is holding prices up at the moment. Hopefully the government’s recent moves to examine the rate of subsidy paid to landlords may see houses once more sold for people to live in and Laura Starkey may be able to buy not rent any more? The problem is partly that the market is beset by myths that many believe to be true because they are repeated so frequently. The media has to carry a lot of the blame by going on about house prices rises being good, when in fact they are bad for most people. Then there’s the problem with tenancy leases where the landlord can (and often does) throw you out at short notice. Nowadays there are fewer landlords in the business long-term and more “buy-to-let” speculators who buy and sell houses regularly. The real problem is that houses are seen as an investment, rather than somewhere to live. Might I add that Thatcher deregulated the rents – before her the rent act controlled rents – so afterwards the amount that could be charged was the amount that someone would pay. This coupled to the sell off of council houses at subsidised rates to the tenant – and the councils were stopped from using the money to build more houses – so councils had to rent from the speculators raising rents even more. We have only been obsessed by house owning since Thatcher – before most people couldn’t afford a mortgage – now many people think they can – But remember it was the Banks gambling that pay rises and inflation would keep up with payments that caused our present crisis.